Look what we found when we popped over to see our new place today. A skip bin full of treasures! 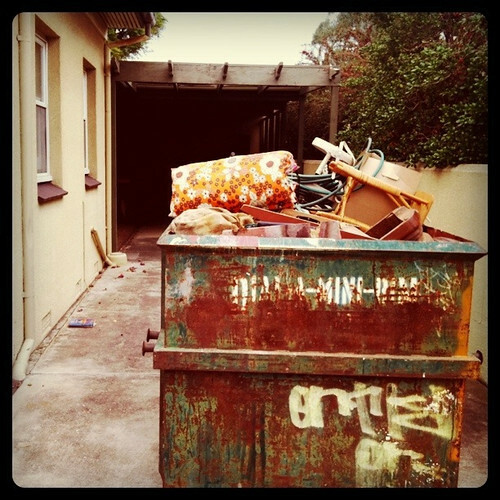 The previous owners hired a skip and had a big clean out...luckily we were able to check it out before being collected this week. 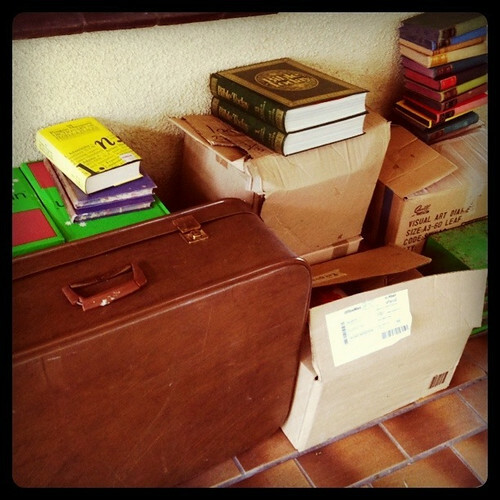 We salvaged a few boxes of books - not entirely sure what I will do with them yet! 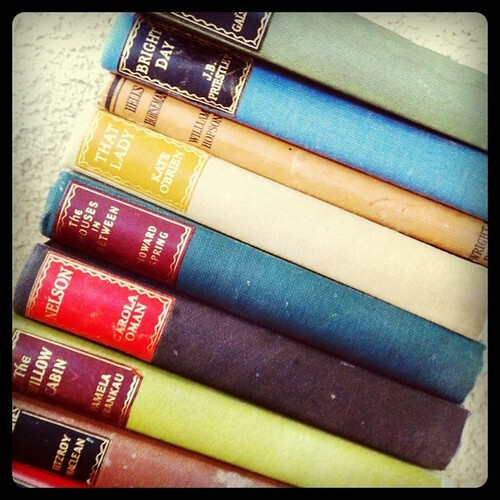 It's a wonderful range of hard cover novels and encyclopedias. Seriously, how could I let this lot go to the dump!! There are a few boxes to sort through, plus a suitcase, but will wait till we have moved in a couple of weeks to go through it all. Picking up the keys on Monday, very exciting! 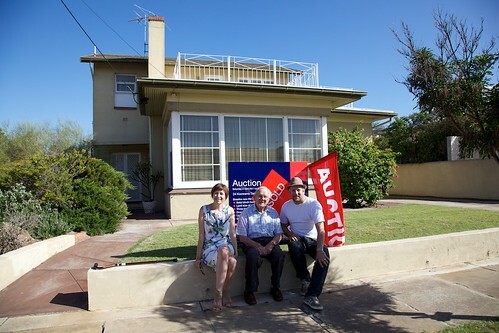 2/4/2011 the day we bought our dream Retro Abode at Auction. A nail biting experience, but in the end it was meant to be. We were happy and lucky to meet the previous owner Cyril who has now started a new chapter in his life in an old folks home. An absolute sweetheart... I just wanted to give him heaps of cuddles but thought that may seem weird! He was happy to meet us too, knowing our plans and love for his home of 50 years. Might have to frame this one to pop up on the wall when we move in!